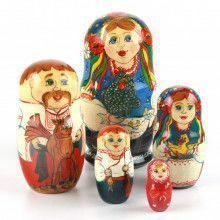 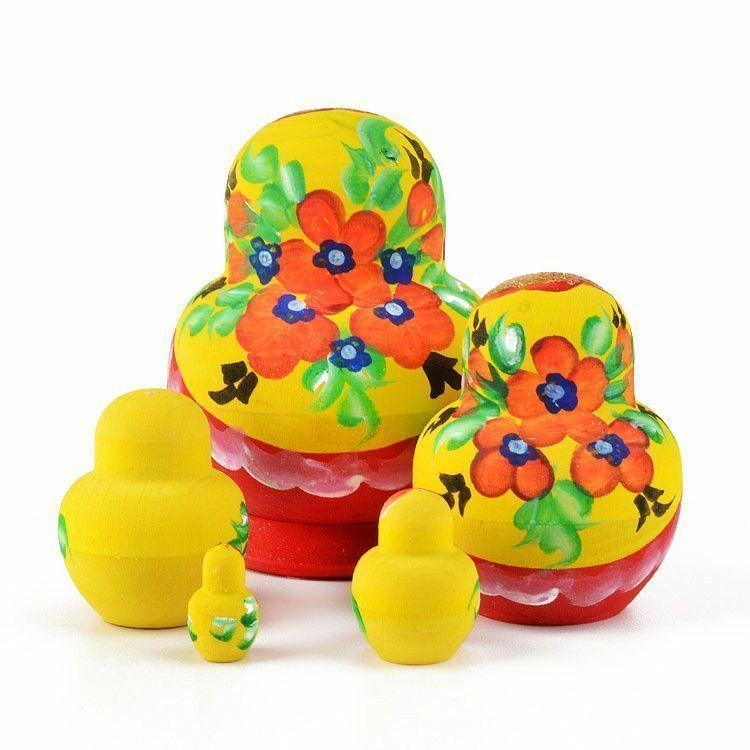 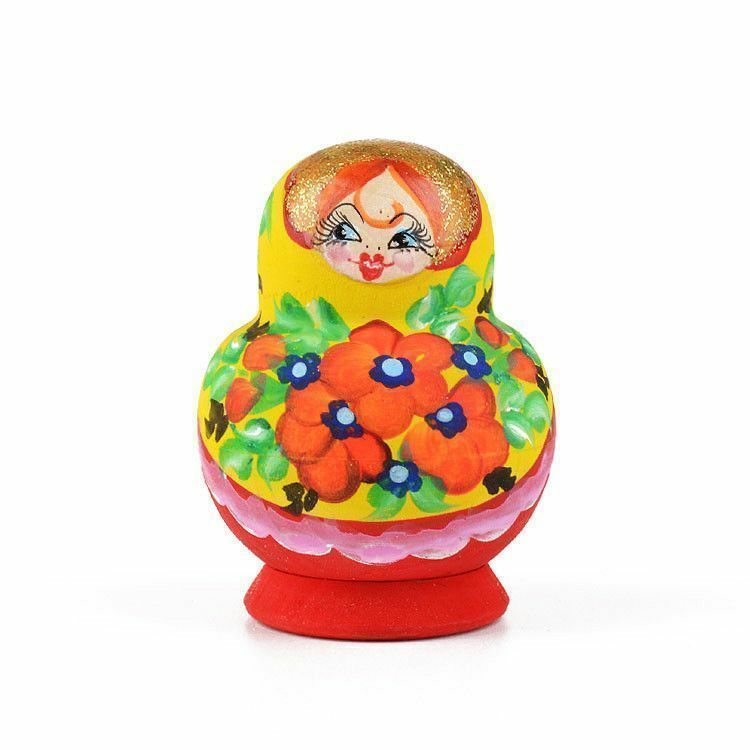 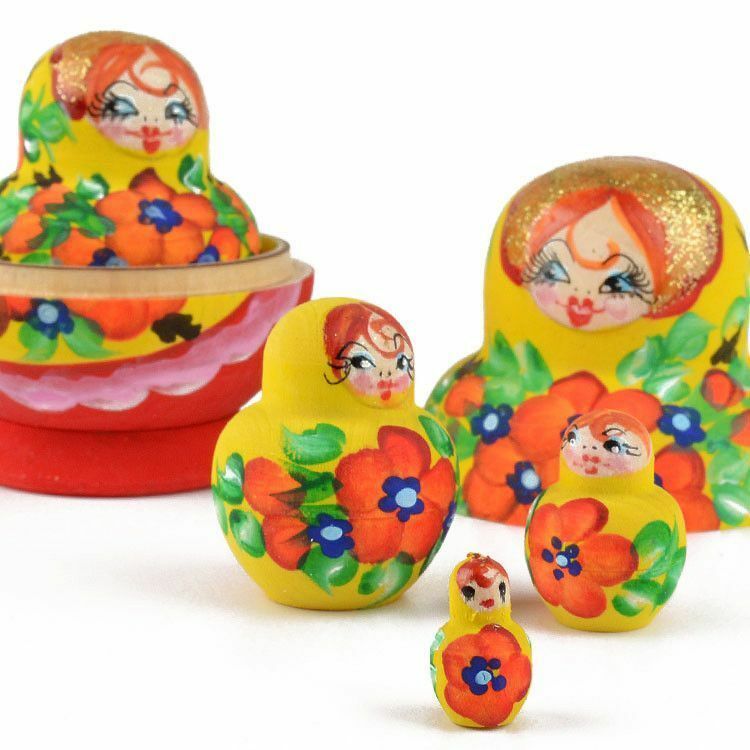 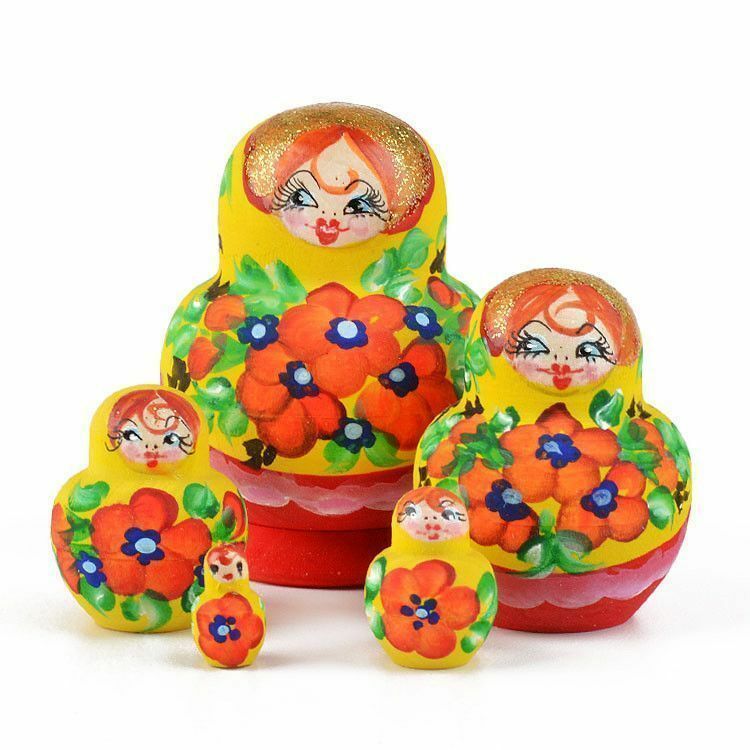 This little (just under 3" tall) wooden nesting doll was hand-crafted and painted in Russia with bright colors and a floral design. 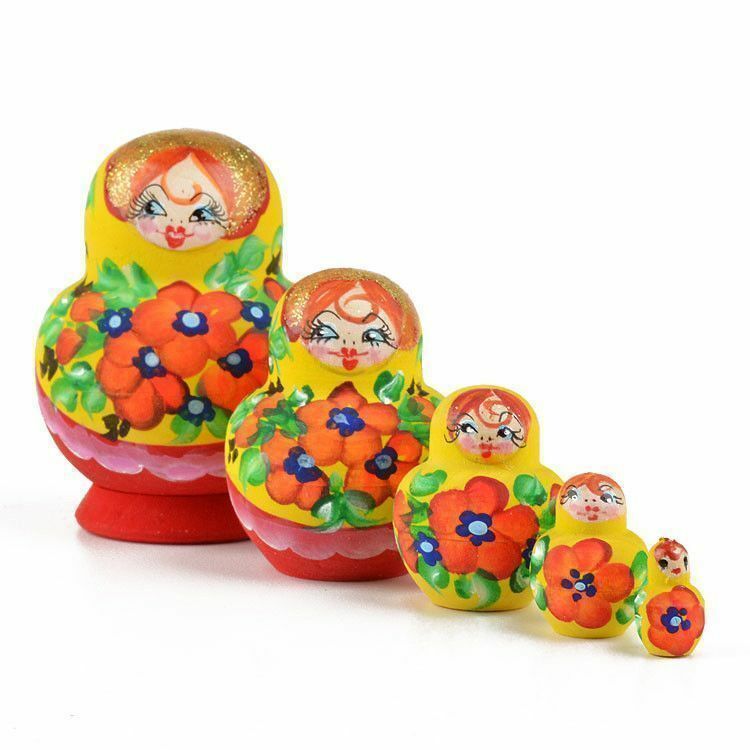 Five dolls total, matte finish. 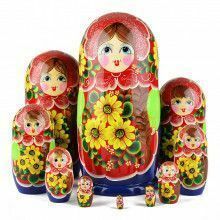 Such a pretty decoration in the home or office, suitable for any space.